So how did it all start? How did I get interested in trains? To find that answer, you need to go back to the 1960s. The Reading Company had pulled three of their 4-8-4 T1-class steam locomotives out of retirement to run on what the railroad called Iron Horse Rambles. I was just a tyke at the time, but Dad took me on the excursions out of Reading Terminal in Philadelphia to eastern Pennsylvania destinations with exotic names like Macungie and Tamaqua. It was through these three locomotives, Nos. 2100, 2102 and 2124 (especially 2124) that got me hooked on steam. Reading 2102 in its Iron Horse Rambles paint scheme; Reading, Penn. In 1986 the T-1 was acquired by the Reading, Blue Mountain & Northern (also known more simply as the Reading & Northern). 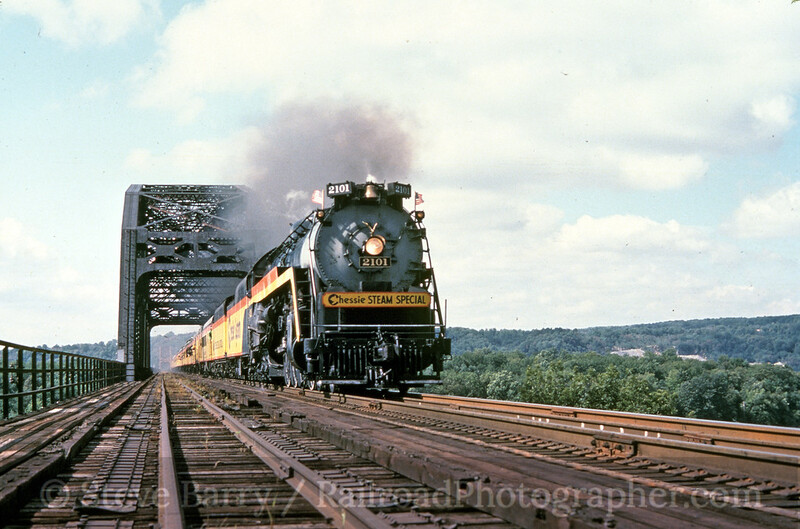 And, they put it to work, hauling coal (at least for photographers) just as it did in the 1950s. Reading & Northern 2102 in "freight black;" Port Clinton, Penn. 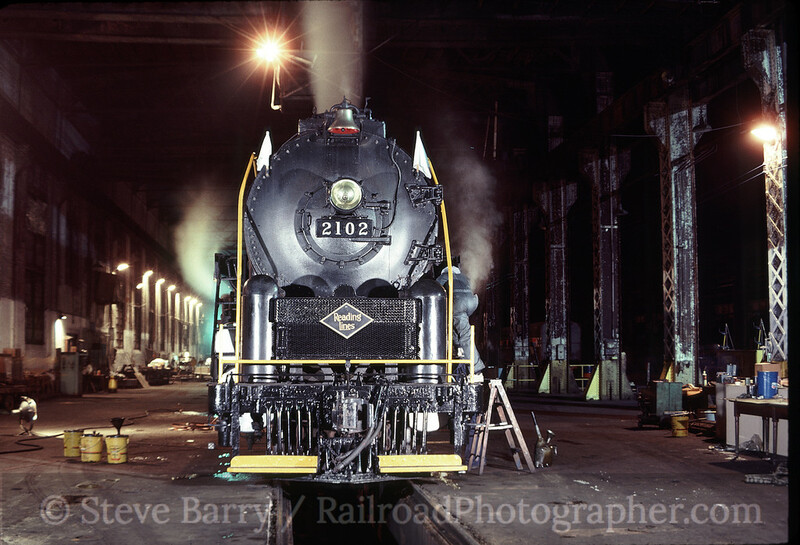 Alas, 2102 would soon be out of service again, as its flue time expired in 1991 and it has been cold ever since. As this is written it has been two decades since a Reading T-1 ran. But, I would have one more encounter with a T-1. 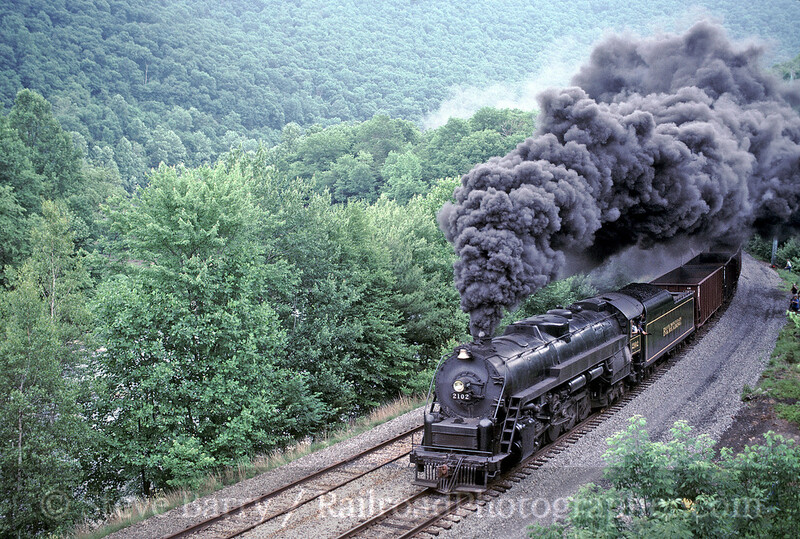 My favorite of the Northerns, 2124, had been retired by the Reading before the Rambles program had even ended in the mid-1960s and it went on a long journey to Steamtown U.S.A. in Bellows Falls, Vt. 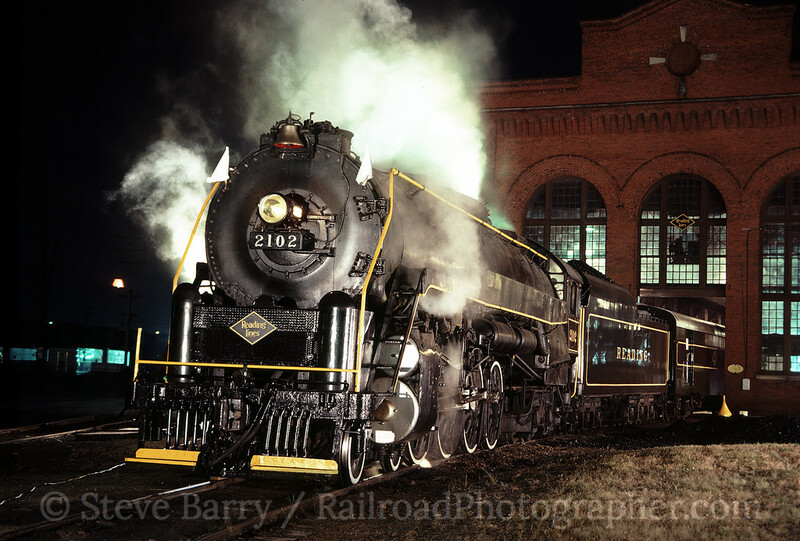 When the Steamtown collection moved to Scranton, Penn., in 1984, the 2124 was brought back to its home state. 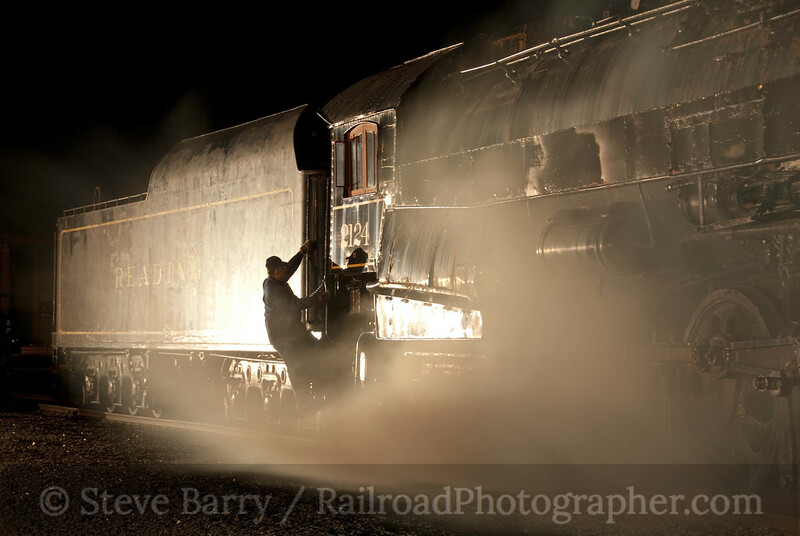 On May 6, 2010, Pete Lerro of Lerro Productions used a little smoke and light to bring 2124 seemingly back to life. It had been 45 years since I had a close encounter with the 2124. It was good to be paying attention to my old flame -- the one that started the love affair --once again. Thanks to Christopher Bost for getting some of my fuzzy T-1 history squared away.